POSSIBLE SPOILERS AHEAD (for both movie and novel). Let me get this out of the way to start: I really enjoyed the adaptation of Beautiful Creatures, but if you're going into it expecting the book—you will be disappointed. I re-read the novel right before going to see this movie last week. I'd previously read it a few years ago, and remembered the gist of the story, but I was curious to do an experiment to see how much would be changed. (The fact that I can read really fast is a double edged sword—I can get through books quickly, but I tend to lose the little details as time goes by.) I'm usually not one to get angered by book-to-movie adaptations (unless they're just flat-out awful movies); I understand the reality of bringing a story to the screen sometimes necessitates changes. I like to think that I do a pretty decent job of separating the two. 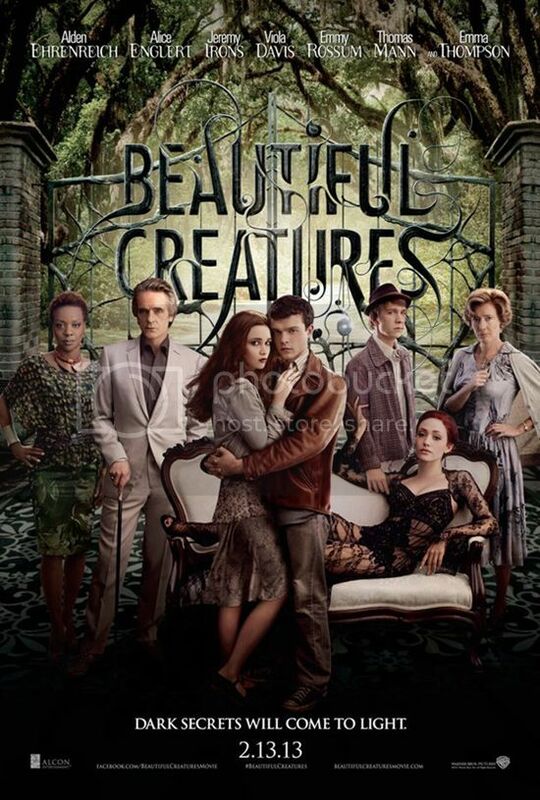 The adaptation of Beautiful Creatures from page to screen involved cutting/combining characters, condensing plot lines and truncating time tables. When I first started seeing previews and photos from the film, I thought that the setting was right, but the characters weren't. Everyone pictures characters differently when they read, even if they're described down to the most minute detail. When I read the book for the second time, however, I unavoidably put some of the actors playing the roles into the story—and for the most part, they fit. Ethan and Lena were great, and Alden Ehrenreich did a really great job of bringing the character we got to know the best in the book to life. (The fact that I'd never seen Ehrenreich or Alice Englert (Lena) in any other roles helped, too.) The rest of the family (particularly Jeremy Irons as Macon, Emmy Rossum as Ridley and Emma Thompson as Mrs. Lincoln), although different in appearance, did really well with the personalities. However—the merging of Amma and Marian into one person didn't work for me. Viola Davis would have been a wonderful Marian, but the whole idea of the caster-neutral-seer triangle made so much sense to me in the book. I suppose they cut a lot of that out because it would have taken a while to explain, but I really enjoyed both characters in their own right and I would have loved to see them both in the movie. And where was Boo? Plot-wise, I felt like the movie was a little lacking in the "why" behind the situations, but my mom, who hadn't read the book before seeing the film, got along just fine. (She really enjoyed it, too, in case you were curious.) The flashback scenes were a bit rushed and the true connection between the two characters was glossed over, but it worked for the movie. The idea of the casters all having different abilities, which is such a neat idea to me, wasn't touched on either. But like I said, I understand the reasons for most of the edits, and on the whole, it was an enjoyable viewing experience. 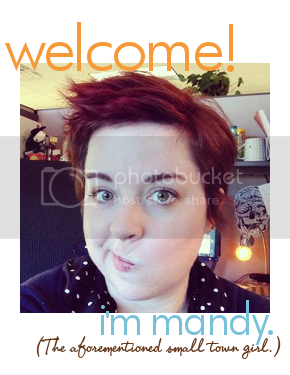 P.S.—If you haven't already—be sure to enter to win a custom illustration from Julie is Cooly!